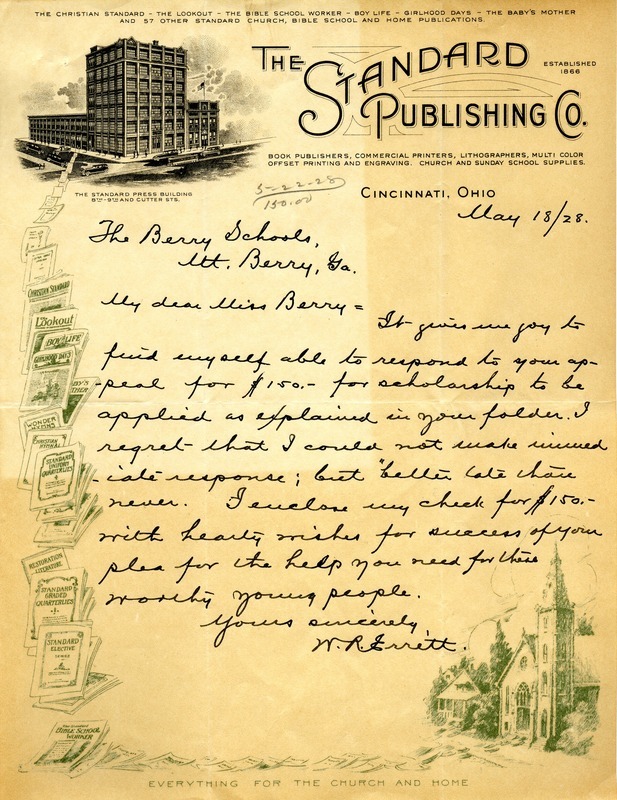 W.R. Errett sent a letter to Martha Berry responding to her inquiry about a 150 dollar scholarship. He wishes her well with her school. W. R. Errett, “Letter to Martha Berry from W.R. Errett.” Martha Berry Digital Archive. Eds. Schlitz, Stephanie A., Chelsea Risley, Amanda Kreiner, et al. Mount Berry: Berry College, 2012. accessed April 24, 2019, https://mbda.berry.edu/items/show/7360.